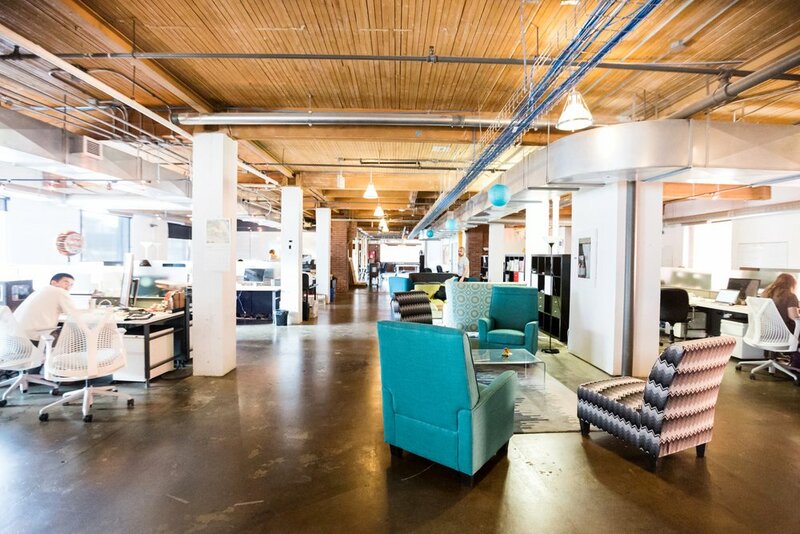 Nymi , a technology firm was looking to tailor a raw post & beam downtown space to suit their culture. Glass-walled meeting rooms were organized at one end of the floor with soft-seating lounge areas interspersed between work stations provides for relaxed impromptu meetings. Smaller phone rooms provide private areas to speak with clients and a staff room with sleeping pods and enclosed lounge area brings a homey space to the office. A separate shower and change room allows staff to shower after along ride in to work after parking their bike in the bike parking area.